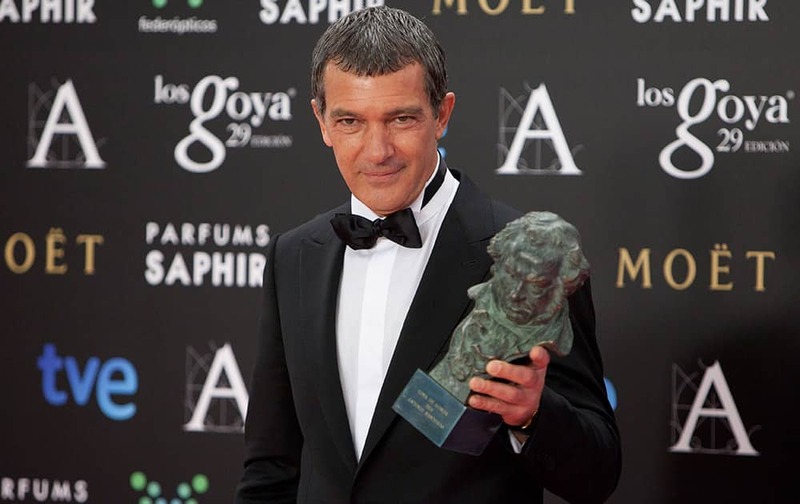 Spanish actor Antonio Banderas holds the trophy after winning the Goya of Honor at the Goya Film Awards Ceremony in Madrid, Spain. 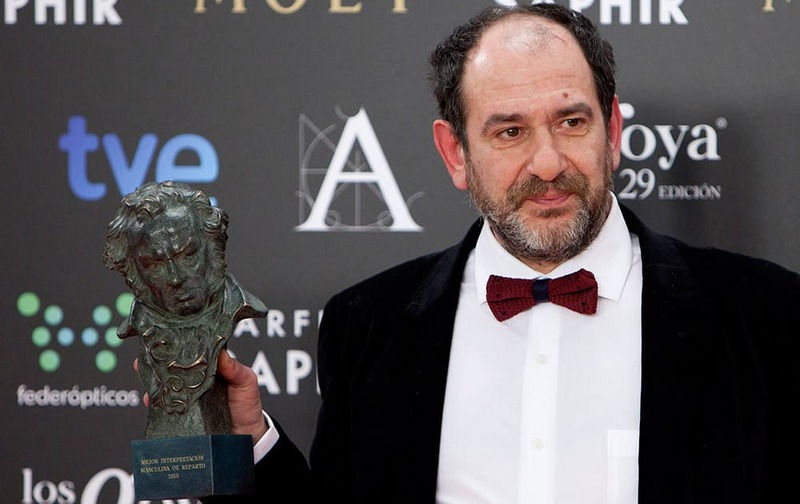 Spanish director Alberto Rodriguez holds his Goya trophy after winning the best director award by the film "La Isla Minima" at the Goya Film Awards Ceremony in Madrid, Spain. 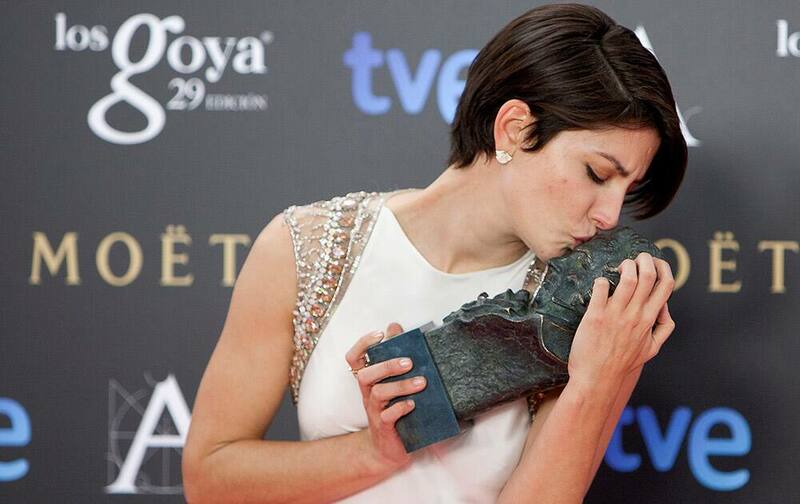 Spanish actress Barbara Lennie holds and kisses her Goya trophy after winning the best female actress award for her role in the film "Magical Girl" at the Goya Film Awards Ceremony in Madrid, Spain. 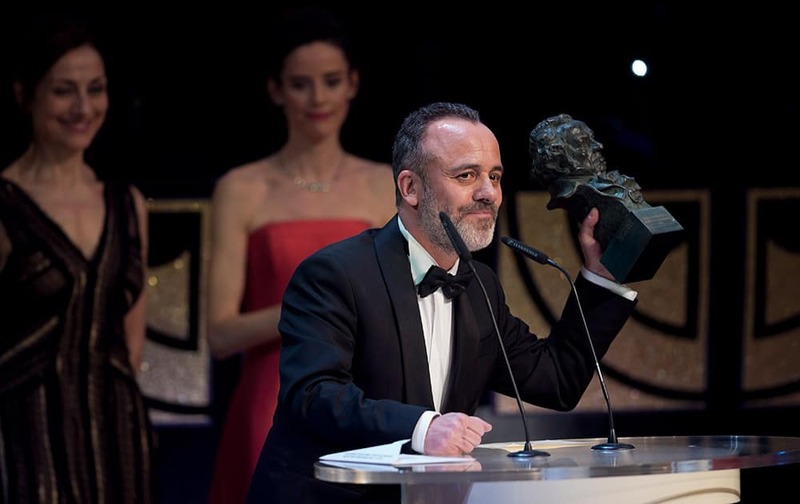 Spanish actor Javier Gutierrez holds his Goya award trophy after winning the best male actor award for his role in the film 'La isla Minima' at the Goya Film Awards Ceremony in Madrid, Spain. 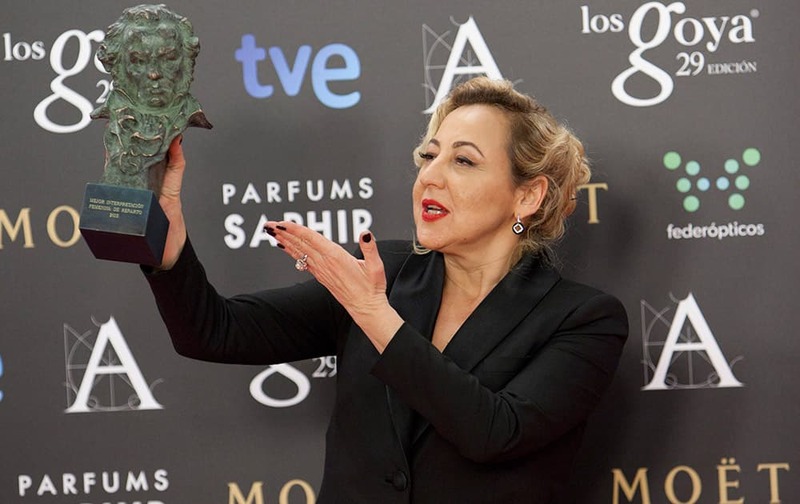 Spanish actress Carmen Machi holds the Goya trophy after winning in the best supporting female actress category in the film "Ocho Apellidos Vascos" at the Goya Film Awards Ceremony in Madrid, Spain. 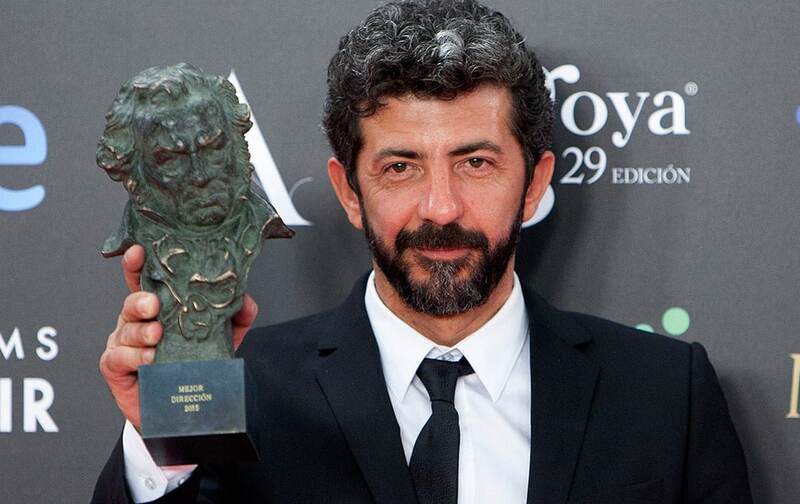 Spanish director Carlos Marques Marcet holds the Goya trophy after winning in best new director for the film "10.000 Km" at the Goya Film Awards Ceremony in Madrid, Spain. 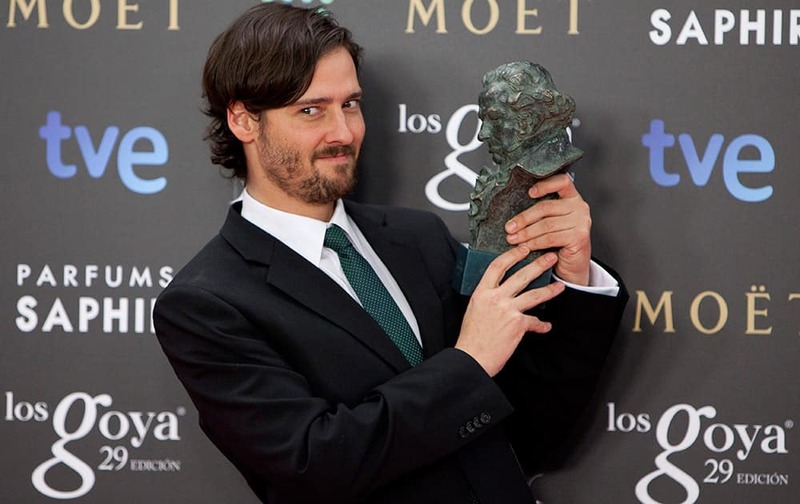 Spanish actor Karra Elejalde holds the Goya trophy after winning the best upcoming male actor category in the film "Ocho Apellidos Vascos" at the Goya Film Awards Ceremony in Madrid, Spain. Spanish actress Nerea Barros holds her Goya trophy after winning the best new female actress award for her role in the film 'La Isla Minima' at the Goya Film Awards Ceremony in Madrid, Spain. Spanish actor Dani Rovira bites the Goya award trophy after winning the best upcoming male actor category in the film "Ocho Apellidos Vascos" at the Goya Film Awards Ceremony in Madrid, Spain.